The forecast is showers, FACEIT Point showers! As we move in to April so will start the tenth month-long season and to kick it all off, an ever improved tenth bonus weekend with more points on offer and more time to play than ever before. We’ve also made a small change to the FACEIT set-up to make placements more consistent and understandable. A recent addition to FACEIT enables organisers to define how tiebreakers are determined for their hub. There’s currently only two options (Matches Won, Matches Played) so we’ve set them in that order. If you find yourself on the exact same points as another competitor your position will first be decided by Matches Won, and then by Matches Played. These are for each specific leaderboard (so as an example, if you end up on the same points as someone on both the Season and the Event leaderboard, you might end up placing above them on one board but below on the other). We hope this will give a little further clarity on how leaderboard positions are decided. There has already been a fair amount of discussion in the Dirty Bomb Discord server regarding this change, including ways to potentially split players in the future using other criteria. If you’d like to have your say please make sure to join the Discord and get involved in the conversation in the #faceit channel. As we quickly approach our tenth season, we felt it best to confirm the prize pool. It has changed slightly since the last time we posted here. The current prize system pays out the top fifty participants each month, splitting 100,000 FACEIT points between these positions. The full prize breakdown can be seen below. 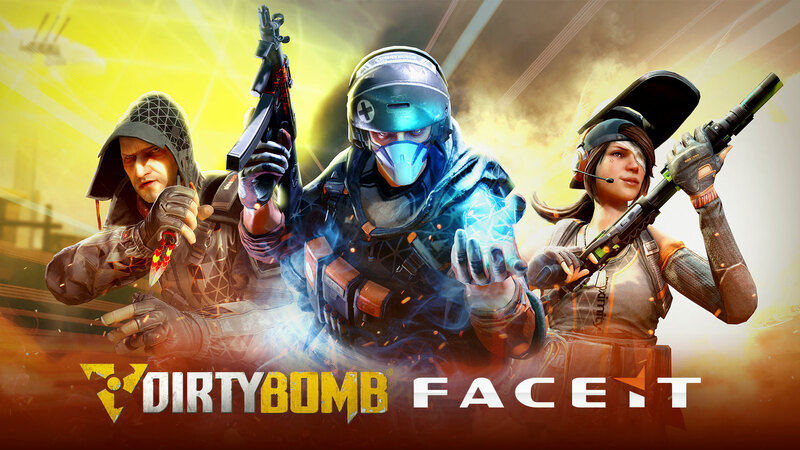 To mark Dirty Bomb FACEIT reaching it’s tenth season, our tenth weekend-long event will be a bit of a bigger one. Four days instead of the usual three, with 2.5x the prizes to be won, we hope to see this event grow bigger and be more competitive than ever before.